Small business marketing tips on pricing and avoiding price objections. Ideas on price and marketing a small business that will make it difficult for customers to compare you to the competition. Actions you can take to give you an advantage over cheap competitors in your market place. As a small business you may not have the buying power of larger corporate organisations. So how can you make your pricing competitive? What will stop you losing customers to cheaper competitors and make your prices look really good. 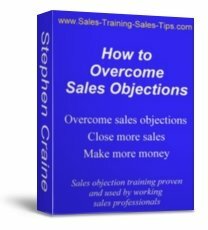 And how can you stop those price objections. Some small businesses have only one answer and that is to cut prices. But that leads to price wars, where no one wins, and you lose revenue. Try these small business marketing tips and see if you can adapt them for your marketplace. If you have competitors selling the same products and services as you do, but at a cheaper price, you need to take action. One answer is to bundle your products in a way that customers cannot easily compare what you offer with your competitors. A really good example of this is the way mobile phone companies market their call plans and packages. Have you ever tried to compare mobile phone call plans? Do you know if you are on the best possible call and text plan for you, or could you have bought a better one? When you use price packages price objections are rare because customers do not know enough to compare prices from other phone operators. The benefits are hard to compare. Free calls to the same network between 6pm and 6am, or 300 additional text, how do you compare those? You would need a complete breakdown of your itemised accounts to work out which package would benefit you the most. These small business marketing tips can be adapted for your marketing plans and small business sales. Use the example set by mobile phone marketing strategies. Write a breakdown all the types of product, and elements of the different services that you sell. Then look at how you can combine them to form packages that will meet the needs of your customers. Include everything you offer: After sales service, guarantees, trade in allowances, and all the possible variations on your products and services. To make these small business marketing tips work you need to write down two figures next to each element of your products and services you have written down. This is the price you have to charge a buyer that ensures you don’t lose any money when selling this product. Include not just the price of any products you buy in but transport and man hours that you provide. The breakeven point plus the desired profit you want to make on the sale of each element of your products or services. Now put together profitable combinations of packages that your customers will want to buy. Start with what your experience and sales records tell you are the most popular combinations of products and services. You may not know exactly which combination bundle will be the most popular because until now your customers have not been buying these packages. These small business marketing tips are about offering new choices. But to start you need to have an idea about what your top selling lines are. When you have put some packages together add up the prices you would like to charge for everything included in the package. Use the 2nd list of prices for all elements of the package. This is the one that includes the desired profit as well as the breakeven point. For these small business marketing tips to work, and to stop price objections arising, the prices of the product packages you are offering must appear competitive. When you look at the price for a package does it look competitive compared to your competitors. If you were a customer how would you feel about the sales price you are being offered. The next step in these small business marketing tips is to make your prices look really competitive. If your packages of products still look similar to your competitor’s offers you need to change them. Remember you are trying to offer unique combinations that your competitors don’t. You want bundles of products and services that cannot be easily compared to those offered by other businesses. What can you add or take away from the packages? What will make them desirable and attractive to your buyers? Remember you are not giving anything away for free here. Marketing a small business is about making a profit not giving away loss leaders. Anything you add to the package must be added to the price. If you think you may get some price objections and some of your charges have to be reduced, here’s how to do it without costing you money. You can reduce any item in a package but never go below the cost price to you. This is list No1 that you wrote next to each element of a sales package. Doing this means that although your profit has been reduced you are not losing money on the discounted part of the sale. The aim of these price related small business marketing tips is to reduce the overall price to a competitive level without losing money. The reduced price and unique packages will lead to increased sales and more profit on the elements of the sales that still include the desired profit. The only time I would give away an item in a package is when I can cover its cost price by increasing the profit on other items. When you have enough profit on other items that you can do this you can use it in your small business marketing. You can advertise or present that with this package you get this item free of charge. 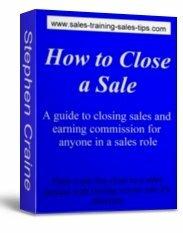 In a recession or difficult trading conditions it s sometimes tempting to give items away. I have seen this done and the small business owner has not taken into account all the costs related to the product being given away. Not all costs appear on invoices. Your staff cost for loading, unloading, transport, and even the related administration, all have a cost to you. We take for granted that some things are now sold together in the same outlets or by the same companies. The idea of specialized outlets selling car exhausts, tyres, and batteries, was a revolution that made a fortune for the first businesses to do it. Look at banks and what they sell to add to their profits. Insurance bought through your bank. That’s a great combination and once was a new marketing idea. I remember when in the UK you had your home gas for heating and cooking supplied by a gas company and your electric supplied by a specialist in supplying just electric. Both these suppliers even had their own separate high street stores. Now most people buy both gas and electric from one supplier. There are millions of examples all around you of combination sales that have been bundled together to form profitable and unique packages. One of the best small business marketing tips is to look for new combinations you can add to your sales and marketing plan. But don’t leave it there. Do something today, right now, take your first action towards putting these marketing ideas to work for you. There is a great free book that you can download from a company called Solo Build It. They are the Internet specialist that I use to publish this website, and for the business plan behind it. You can see more information on this free price training book at what to charge for online goods and services. Many small business sales people and the self employed don’t like making sales appointment calls. Without proper training I can understand that. As a working sales manager I have put together a really effective easy to use workbook training course on making sales appointments. If putting these small business marketing tips into action includes making appointment calls to prospects then this course could be ideal for you. Open Cold Calling techniques for making sales appointments and see the results on your business. More help and training, with loads of ideas to stimulate thinking and actions for small business owners and self employed people. The small business section of the site has links to pages especially for self employed and small business sales people. Leave Small business marketing tips and open the Small business help page.